R and her husband are here for Friendsgiving. 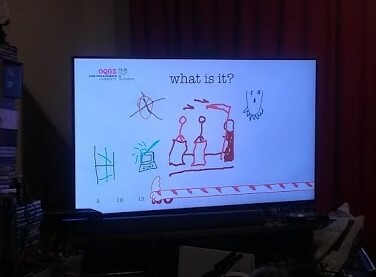 We have played the requisite Drawful, and have just finished cramming food in assorted faces. Z did a fantastic job as usual, and I definitely ate too much. I’ll find room for a pie though hopefully, since R made and brought one with her. So yeah, a good day, as they always are. I wish that they lived closer, but I know that’s a work in progress. But like, especially with the baby coming, I wish I could be around to help out some. But oh well, if wishes were wings, I wouldn’t have to walk everywhere. And now I am going to wander off to other things, ’cause yanno, Saturday.